The filing further noted that the last date for filing of the draft letter of offer (DLoF) with the Securities and Exchange Board of India (Sebi) is April 23. 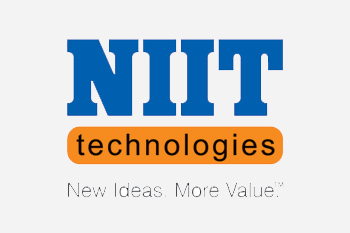 NIIT Tech in its press note to the bourses informed that open offer, following the acquisition of stake by Baring Private Equity Asia, is expected to commence from May 31. "The open offer will tentatively begin May 31 and close on June 14", the company said in a press note after markets hours to the exchanges on Friday. The last date for filing of the draft letter of offer (DLoF) with the Securities and Exchange Board of India (Sebi) is April 23, the company added. The open offer for up to 1.62cr fully paid-up equity shares (representing 26% stake) will be made by Hulst BV along with The Baring Asia Private Equity Fund VII LP, The Baring Asia Private Equity Fund VII LP1 and The Baring Asia Private Equity Fund VII SCSp. NIIT Technologies Ltd's share price ended at Rs1,296.20, up by Rs0.35 or 0.03%, from its previous close of Rs1,295.85 on the BSE. The scrip opened at Rs1,293 and touched a high and low of Rs1,302.05 and Rs1,293, respectively. A total of, 2,58,717 (NSE+BSE) shares have traded on the counter. The current market cap of the company is Rs8,014.30cr.